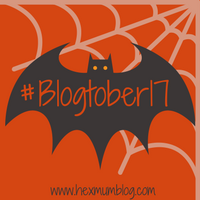 So Day 3 in the #Blogtober17 posts and today is all about cars. As the days go on I seem to be struggling to think what to write about. I always wanted to drive, I liked the idea of independance so I knew the moment I could apply for my provisional I would. I always found it weird that Ashley wasn't driving, or learning to drive or in fact had a provisional, he was 18 when we got together and up until the point I applied for mine he didn't have one but that soon changed and he had his provisional and was learning in no time. My 17th birthday arrived, that exact day I had my first driving lesson - 2 hours long. I did a look around and booked in with a local instructor who turned up for my lesson. He drove me around initially until we got to a quiet lane where we pulled over and I was allowed to drive. It didn't turn out to well and I stalled. I'd never drove before so it was to be expected, however this driving instructor really shouted at me and for the entire 2 hour lesson I was behind the steering wheel for all of 10 minutes. It really put a negative front on the driving experience for me and knocked me down, I wasn't sure if I would want to continue but knew deep down it was what I wanted. I ended up booking in with the same driving instructor in which Ashley used. He was the most gentle, caring gentleman there was - Graham was his name. I had various lessons throughout my time, I found it difficult to drive at night getting sidetracked by the glare of the headlights, and was also a bit of a speed freak so always went on a national speed limit road - Thank you Graham! Then came the time to sit my theory, three attempts to finally pass that bad boy but we got there in the end. Eventually I was ready to sit my practical test, it was booked for school kicking out time and it was typical the route I went on had every hill start, parked cars in the road and 3 schools on the route. Unfortunately nerves got the better of me and I ended up failing - I was gutted, and that is an understatement. We figured that I lost all confidence when it came to me driving with someone new, with my mum I had confidence, with Graham I had confidence - throw me in the car with someone else and all confidence was lost and nerves got the better of me. I booked my next driving test, and unfortunately Graham had to stop teaching for a short while as he needed to work on his health. Graham decided the best thing for me was to go with one of his colleagues to for numerous reasons. To help me gain confidence and to ensure I kept up with the lessons in the run up to my practical test. My second driving test arrived and luckily I passed with just a couple of minors. I got home, rang my insurance changed to a full license and well the rest is history. I was so lucky with my first car, my parents brought a brand new Ford Fiesta and they always promised me they would keep that car and it would become my first car. I would always know how it was looked after beforehand, and it sat on the driveway waiting for me. I had this car up until Jack was around 10 months old I believe. As the fiesta was only a 3 door, putting a baby in and out of the back was proving to be difficult. We then upgraded, or downgraded to a Renault Megane a car I brought for myself. It was a beautiful blue car with panoramic roof, everything was so much brighter. It had electric windows all around, an upgrade on my fiesta. As with Renault it started having some problems and we eventually upgraded her. For my Christmas present in 2013 I was brought a nearly new Hyundai IX35, and still to this day this was my favourite car. This year Ashley finally paid her off which is a bonus. I loved that car, another upgrade as Ashley is a car snob, it was top of the range and the heated seats were life - quite literally. Unfortunately after mine and Ashleys slight break up, he had the car back as his van broke down, and he was the one paying for the car, and he brought me a little run around. Back down the car ladder and I'm on the car I had now. A Peugeot 307 - this is the oldest car I have ever owned, and in all honesty I hate it. But it works, better than you would imagine and gets me where I need. We have the Hyundai as the family car and the Peugeot is just a runaround. Eventually we will get another upgrade but we have more important things to worry about for now. Now, my car is my life and thinking about it I'd be lost without that little plastic card. Its been so useful having my freedom and even useful in other circumstances. Mini miss wouldn't sleep despite being so tired. So packed the car up with the laptop and off we went for a drive until she slept so now for the short amount of time she will sleep I'm sat on the drive trying to catch up on blogging.